Instagram, probably the world’s popular photo-sharing app, is now adding a video functionality similar to Twitter’s Vine. If you’re not yet familiar with Vine, a mobile video-sharing app, that’s okay as it’s newest competitor is giving you a ‘cooler’ way to take videos. Instagram’s video functionality is now available on both iOS and Android systems. It enables users to record a 15-second video and apply any of the 13 filters available. 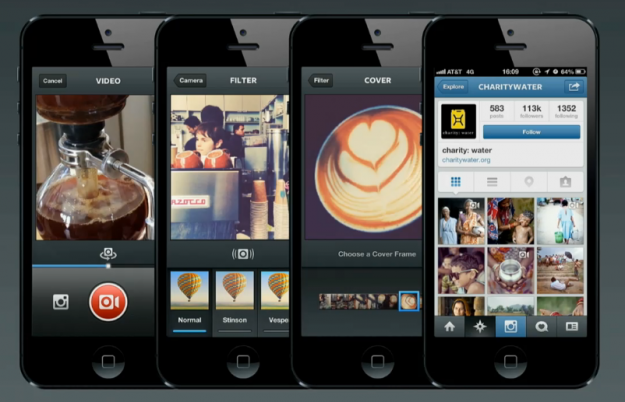 This new feature will also be made available soon on Instagram’s web version. And for some Android users, the roll may not have reached your version today. Per the app’s latest update, video capturing feature is available on Jellybean 4.1 and above but all versions should be able to play videos on Instagram. While this is not something new in the social network space, those who are having fun in applying retro looks on their photos using the app will more likely enjoy similar experience when shooting a video.